When summer rolls around, and you dig through your closet and find some sunscreen that you still have from last year, you might wonder: Wait, does sunscreen expire? And if it has expired, does that mean that I can't use it anymore? Most sunscreens have a three-year shelf life. In these cases, the FDA does not require an expiration date to be printed on the product's packaging. However, in sunscreen products that expire in less than three years, manufacturers are required to print an expiration date on the label. This is not very helpful when you find a tube of sunscreen in the back of a drawer and you can't remember when you bought it. Even if you did, it could already have been older stock on the shelf if you bought it on sale. If you don't go through sunscreen quickly, start writing the month and year that you bought it on the tube with a permanent marker, or on a piece of tape and attach it to the bottle or tube. Then discard the sunscreen after three years (at the most). To determine whether sunscreen has expired, first look for an expiration date on the label. Many manufacturers do print an expiration date on sunscreen. If there is no expiration date, you can always call the customer service number that's listed on the label. You can provide them with the codes that are printed on the bottle and they can tell you whether or not it has expired. The codes printed on the label track the date, batch, and location of where your bottle was manufactured. After sunscreens expire, the chemicals begin to degrade and separate, making them less effective. Eventually, old sunscreens will crystallize and separate, and they may have a foul odor. Keep in mind that extreme temperatures can also make sunscreen become less effective, despite its expiration date. When in doubt, toss the old sunscreen that you have and buy a new one. Make sure the new one has "broad spectrum" coverage for maximum protection and an SPF of at least 30. 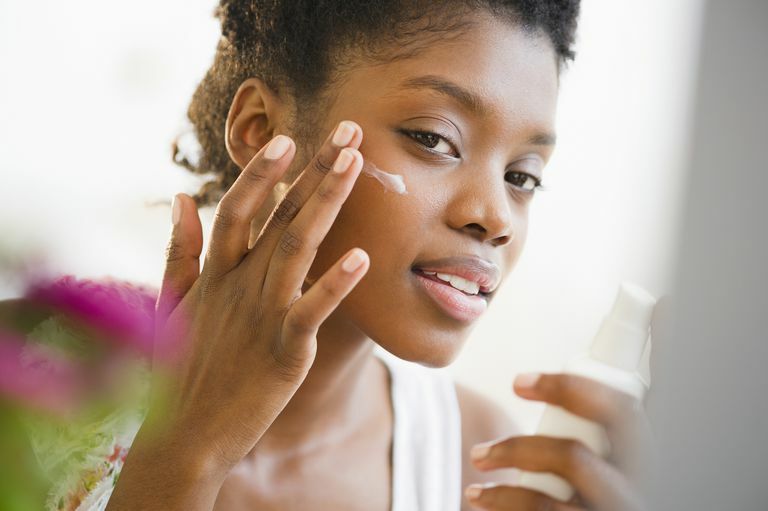 If you find an old bottle of sunscreen around the house, it might be an indication that you aren't using enough when you apply it—or that you're not applying it daily. Applying sunscreen daily and correctly reduces the risk of skin cancer and premature aging. Not using enough sunscreen during application is a common mistake. The rule of thumb is to use about one ounce of sunscreen per adult all over the body in the summer—in other words, enough to fill a shot glass. In the wintertime, you may be more covered up. When you're exposing less skin to the sun's UV rays, you don't have to use as much. However, you still need to protect the skin that is exposed, such as the hands, the face, the ears, the neck, and if you're balding, the top of the head. And don't forget about exposure to the sun through car windows (especially on your left forearm and left hand) and perhaps through your office window. It's a good idea to put sunscreen on first thing in the morning after you shower—when you make it a habit, you're less likely to forget to do it.